Published on March 7, 2018 at 6:00 pm . BC, March 8, 2018 — Buying a lottery ticket can help B.C.’s most vulnerable animals. 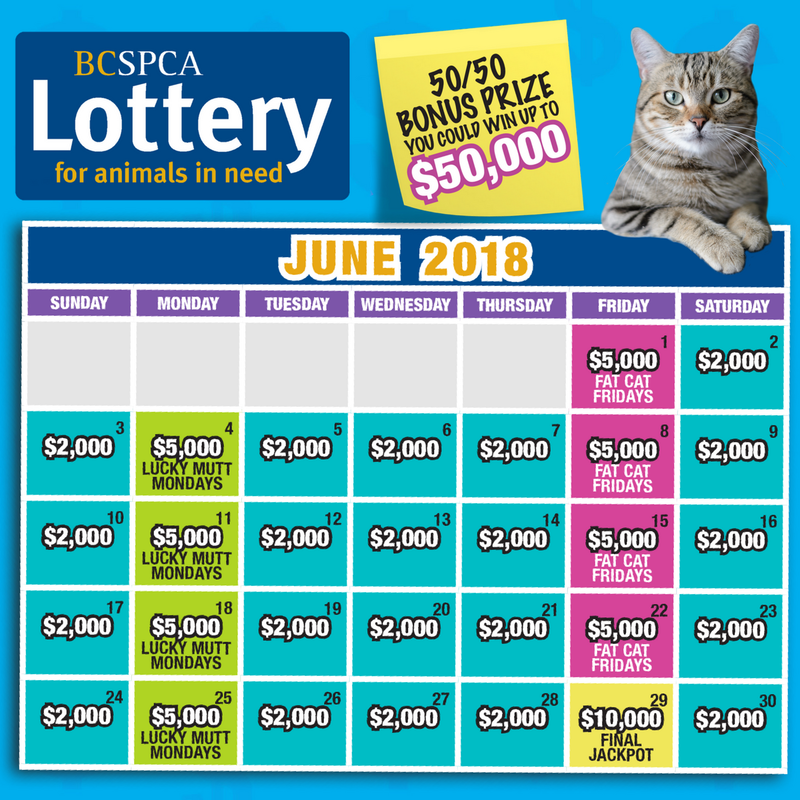 With the return of the BC SPCA Lottery for animals in need, you can win big by helping abused, neglected and injured animals and potentially, put thousands of extra dollars in your pocket. Tickets are now on sale for the 2018 BC SPCA Lottery for animals in need, which funds urgently needed medical care, sheltering and spay and neuter services for homeless and abused animals in BC SPCA shelters across the province. 50/50 six packs sold out in the first few days, so be sure to place your order quickly! Sponsored by CTV and TV Week, tickets for the lottery are $30 each or three for $60 and six for $90. Tickets for the 50/50 draw are $10 each, or three for $25 and five for $40. The deadline for the early bird prize of $8,000 is May 1 and the final lottery tickets sales deadline is May 18. Deadline Tomorrow – $230,000 Early Bird in the 2018 St-Boniface Mega Million Choices Lottery!